Cleveland Indians skipper Terry Francona won the American League Manager of the Year Award Tuesday, narrowly edging out his former pitching coach with the Boston Red Sox, John Farrell. Francona, the former Sox manager, inherited an Indians team that went 68-94 in 2012. 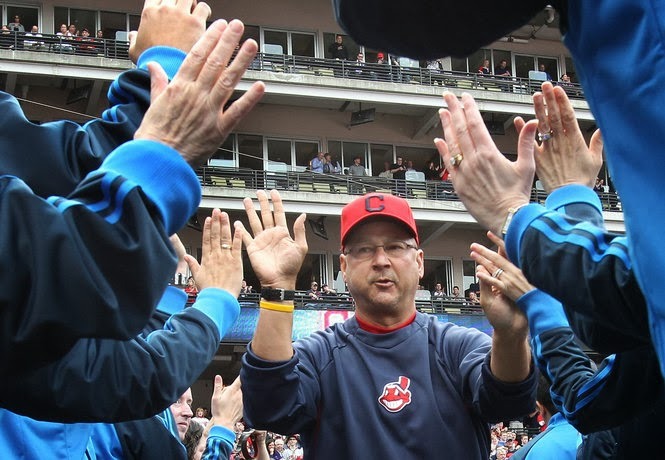 Francona guided the Tribe to a 92-70 record and a wild-card berth where they lost to the Tampa Bay Rays. Francona led the Red Sox to five postseason appearances and two World Series championships from 2004 through 2011, but was never voted Manager of the Year. Farrell seemed the favorite to win the award after leading a team that lost 93 games a year before to a World Series championship. However, the votes were cast before the start of the postseason. Francona received 16 first place votes while Farrell got 12 from the Baseball Writers Association of America. Oakland A's manager Bob Melvin finished third. Farrell spoke with NESN's Adam Pellerin and the Sox manager was all class concerning the news.